Offering more than 1900 games from numerous developers, the casino is a perfect destination for all pokie enthusiasts who like playing pokies and participating in tournaments. Videoslots provides trusted payment options for Australian players, secure gaming environment and bountiful bonuses with extremely friendly wagering requirements. Registered users who reside in Australia may use many trusted payment options for depositing and cashing out. Australian dollars are in the list of accepted currencies, so players have the right to transfer AUD directly, without losing funds on exchange fees. The casino has established limits on the transactions to and from player’s account. The minimum deposit and withdrawal are $10 and $20, while the maximum withdrawal is $30,000 per month. Progressive jackpot winners enjoy special conditions with higher limits. On placing a qualifying deposit of $10 or greater, a new player may activate a 100% Welcome Bonus up to $200, with the wagering requirement of as low as x20 times a deposit amount. 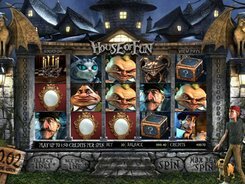 Besides, a new player receives 11 free spins on a randomly picked pokie, and the winnings earned on that pokie must be played through x40 times. On Fridays, the casino extends a unique Cashback offer by paying out 25% of its weekly income to all players depending on their betting activity on pokies. All cashback payments are wager-free. Other bonuses that may at times be available at the casino include reload bonuses, free spins and reward bonuses. In most online casinos, games contribute differently towards meeting the wagering requirement, and the difference is based on a type of the game; for example, pokies usually contribute 100% and roulette may contribute 5%, 10% or nothing. In Videoslots, the weighting of a specific pokie depends on its theoretical payout percentage, also known as RTP. The RTPs for all pokies are published on the casino website and are used as basis for calculating how much every specific pokie contributes. Pokies with a 95%, 96% and 97% RTP contribute, accordingly, 125%, 100% and 75% towards wagering requirements of all bonuses, including the first-deposit bonus reviewed above. Pokie fans will be happy to try their luck in dozens of tournaments running every day. To view the list of current and upcoming tournaments and to find out more about their rules, you should click on the Battle of Slots tab shown along the right edge of the casino screen. Most pokie tournaments require a buy-in of $1, $2, $5 or a little more, while some of them are free. Prize pools start at $50 and reach into hundreds and even thousands of dollars. The casino also runs Weekly Casino Races that are based on the same principles as tournaments but feature larger prizes and last longer. With its prime focus on pokies, Videoslots presents 1900+ games developed by over 40 distinguished casino software companies like Microgaming, NetEnt, Playtech, Betsoft, to name but a few. The game collection is broken down into categories to facilitate the search of pokies and other games. Besides, handy and intuitive filtering options will help players narrow down the huge list of pokies and display them filtered by the number of rows, by provider or by features. If you, for example, like three-reel slots with the Nudge and Hold features, you can easily find adequate games by choosing relevant filtering options. 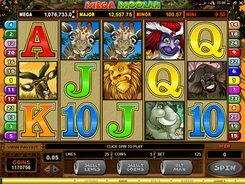 The assortment of pokies incorporates classic games, five-reel pokies and progressive pokies. There are also different blackjack tables, roulette, video poker, scratch cards and other amazing games.